The second project I started right after Amie was born fared better than her now defunct Baby Journal, in that it is still up and running. It is a Map Book, or Place Book. I love maps: topographical ones, city, architectural, personal, subjective, objective, three-dimensional, temporal… you name it. 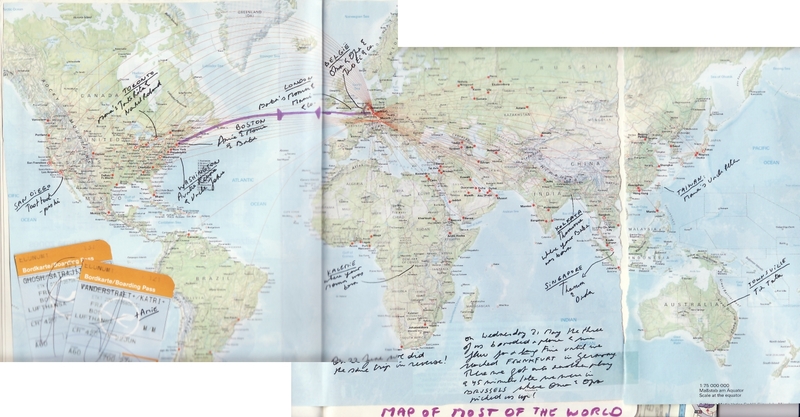 From the beginning of Amie’s life I collected and drew maps of where we live and where ever we travelled. Depending on how busy I was, I would simply paste in a tourist map I had picked up, draw one myself, and/or add commentary. 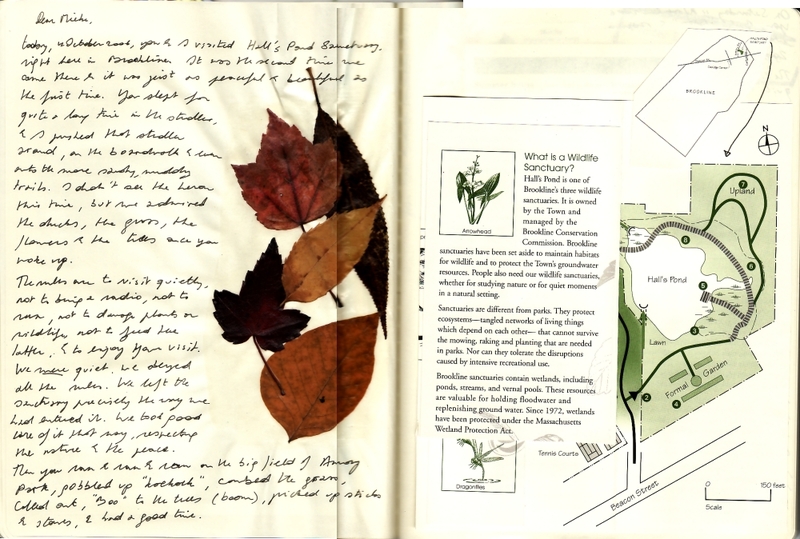 There are also spreads about the wildlife and the people, and anecdotes about how she reacted to the place. It’s not as much work as the Journal: I put in as much time as I want or can afford. I skip visits that we make regularly, like to the Pond or the Farm, except when something special happened that needs visual representation in the form of a map. One day soon Amie will understand the concept of a map, and she’ll make her own maps. It’s one of those many moments that I look forward to. Can I finally comment here? Yay! I love this idea. I will try it with my guys who are old enough to make their own maps. She’s going to love that book.